Use the glossary and Google translator for help with Korean. Translate the product name if possible and search in Korean for best results. When you find the items you want, 1. copy and paste the URL into order forms on Koreanbuddy.com. 2. Copy and paste the product name and 3 let me know the options you want. If you can’t understand the options then just send me a message over chat. I will get back to you quickly! 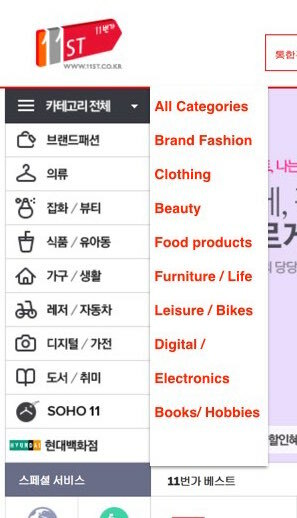 I have created a glossary divided into product categories which will help you with the Korea on the shopping mall sites, check it out. Let’s start with the basics, here are a few shopping site menu’s translated. Most sites use the same or similar categories. Tip#1 Use google translator to translate the product you’re looking for and then search in Korean. Results can be different with very different prices, see below. 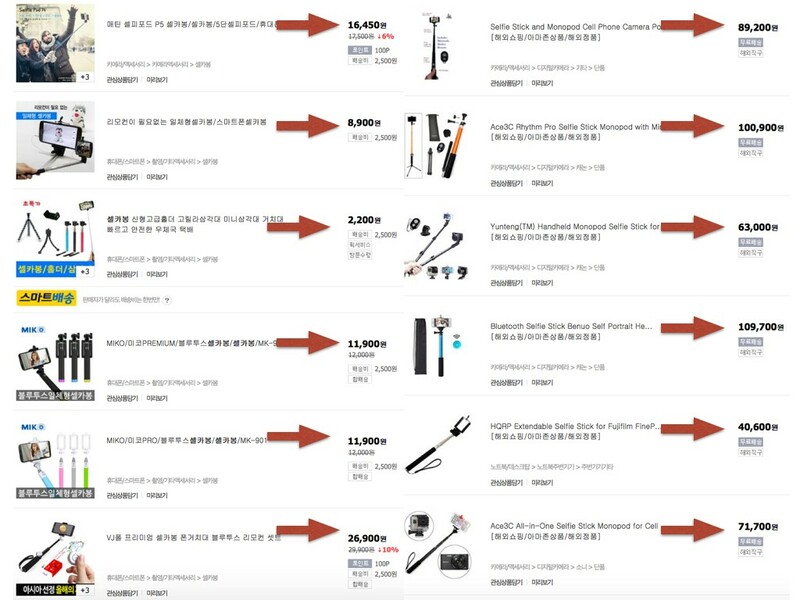 Even searches on the Korean and English Gmarket sites turn up different prices for the same products! If you need help just let me know and I can find the best price for the product(s) you want. Below is a search for selfie sticks. Korean search results on the left, English results on the right. I need a description of the product, the URL if you have it, and the quantity you want. The description should include things like color, size, model etc. My coffee maker is 87,900 won on Auction.co.kr, but 124,000 won on Amazon, score! 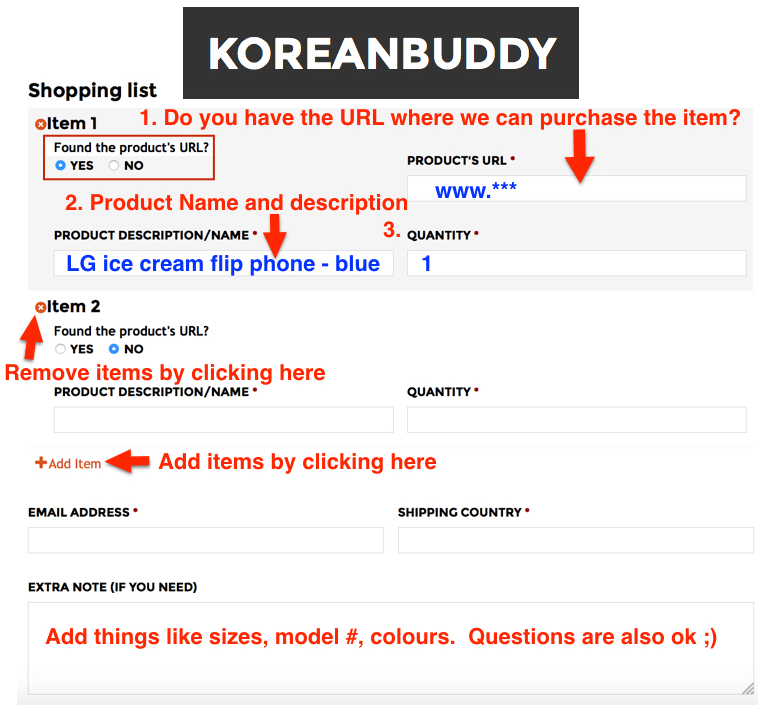 When you find the item, A. copy and paste the URL into the order forms on Koreanbuddy.com B. copy and paste the product name, and C. Let me know the options you want like color, size, etc. If you need help understanding the options just send me a message over chat and I will get back to you quickly. 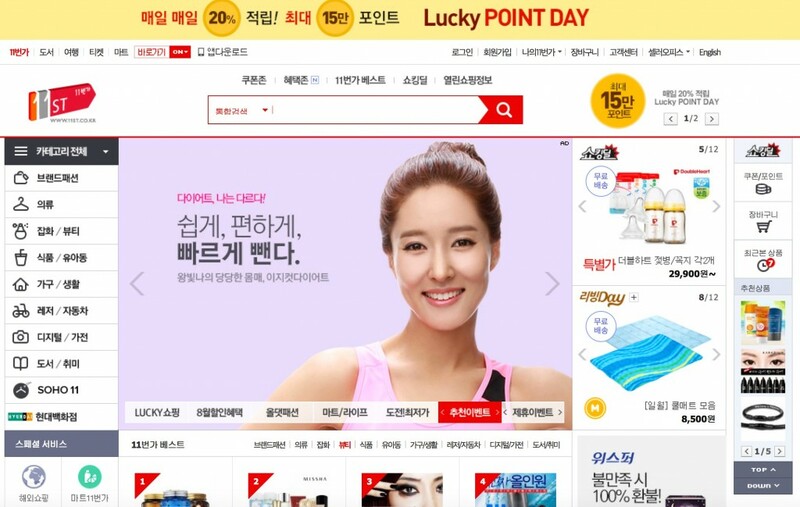 Click “쇼핑” shopping, highlighted in the red box, to move to the shopping search and get more detailed results. You can search in English here, don’t worry. 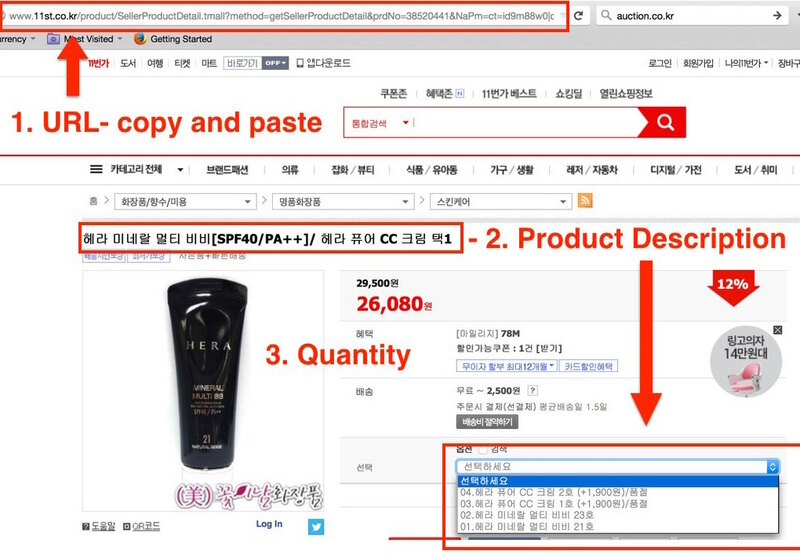 Here are the search results for “BB cream” from the shopping search bar. 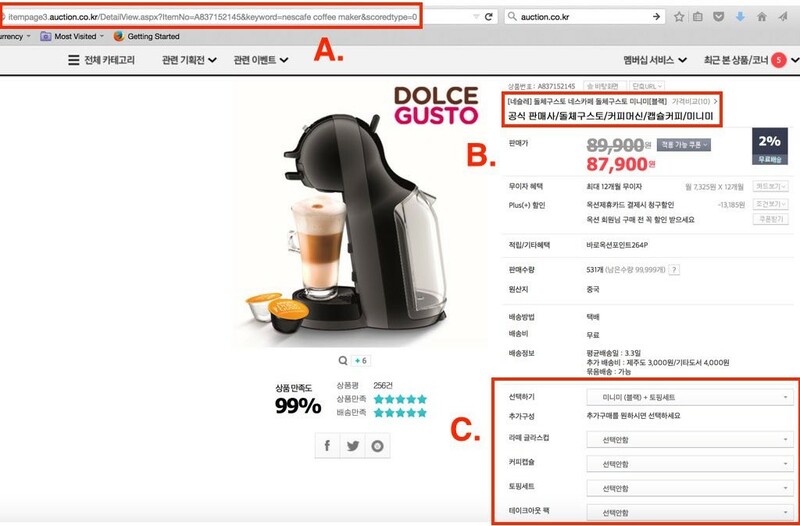 The lowest prices are shown on the right with the shopping site name, in Korean (see the glossary for help). The red stars and green numbers next to the pics are the product review rating and the number of users who gave the product 5 stars. You can also view the results based on price, age, and customer reviews. Clicking a specific product will bring up the price range, product rating out of 5 stars, the sites offering the cheapest prices, and the customer review breakdown. Very useful information 🙂 Click the price you want from the site you want and then collect the information to pass on to me for ordering. Let’s click the 11st link to get the best price. From the 11st product page – If you are satisfied with the product, 1. copy and paste the link into the form on Koreanbuddy.com, 2. copy and paste the product name and option choice, 3. enter the quantity you want me to order for you. I’ll take care of the rest. If you have questions about the product options, just hit me up on the chat and ask.